This case is complimented with a shell crown overlay that decorates the cascading bonnet top, hand carved column caps and deeply fluted columns along with a four tiered base with hand carved feet. Mechanical 8-day movement features automatic night shut off and Westminster, St. Michael and Whittington chimes. CLOCKMAKER CRAFTSMANSHIP - RELIABLE AS CLOCKWORK. The clockmaker's precision craftsmanship: it's mythic, it's legendary - and it's common practice at each Hermle manufacturer. At Hermle, our company values and embraces unparalleled product quality, reliability, and customer service. All Hermle clocks, clock movements and turning parts share a common standard. Whether elaborate wall clocks, mechanical movements for a wide spectrum of industries, or any of our traditional models or styles. Decades of German craftsmanship, knowledge, and quality assurance are packaged into every treasure we produce. In addition to our Germany-based manufactory in Gosheim, Hermle clocks are also built in Amherst, Virginia. Nestled in the scenic foothills of the Blue Ridge mountains of Virginia, Hermle Black Forest Clocks began manufacturing mechanical movements in the USA in 1977. This marked a new chapter of growth for the company as Hermle was able to utilze American and imported hardwoods to supply case goods for highly sought-after German quality mechanisms. 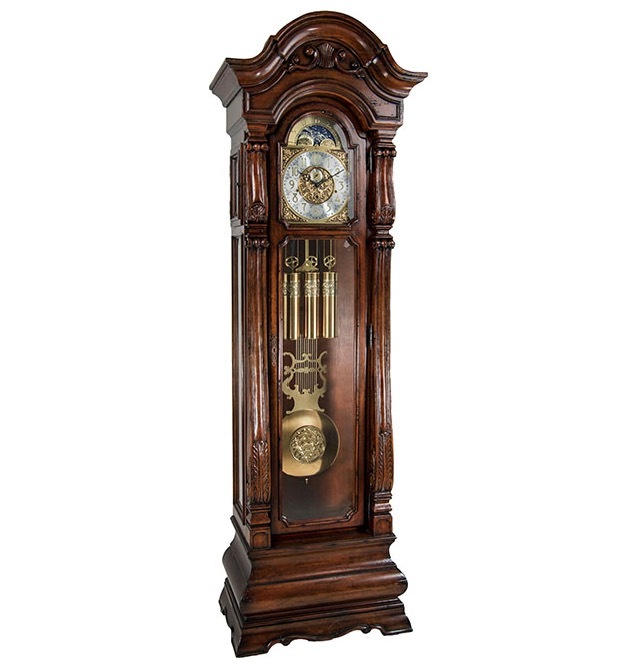 The Amherst plant specializes in traditional hardwood floor, grandfather, wall, and mantel clock cases, with German movements and accessories. Some of the styles are based on early American tradition, and one is even a licensed Colonial Williamsburg reproduction.